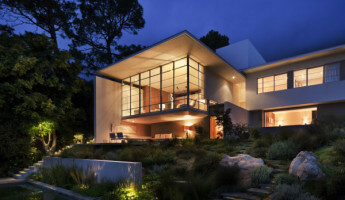 The Bridle Road Residence in Cape Town, South Africa is amongst the most visually stunning and sustainably focused homes we’ve seen thus far in 2010. 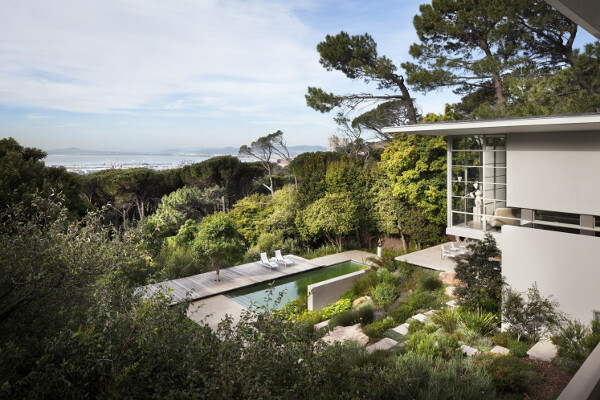 Amidst our research on a forthcoming feature on landscape architecture designs, we discovered the Bridle Road Residence (also titled the Gubbins House) by architectural designer Antonio Zaninovic, Rees Roberts and Partners and ASLA partner David Kelly. 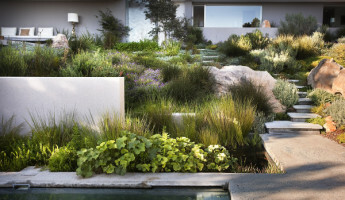 For its focus on sustainable construction and truly breathtaking landscaping with local flora, the Bridle Road Residence has earned a 2010 Honor Award from the American Society and Landscape Architects. 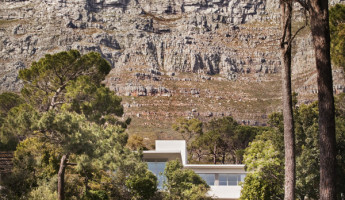 The Bridle Road Residence is nestled at the base of the Table Mountain and just off the coast of the Atlantic ocean in the distance. 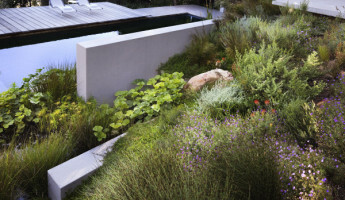 Cape Town, South Africa represents one of the most ecologically diverse locales in the world, and the landscape consultants who developed this project focused on the local ecology for this home’s magnificent garden. 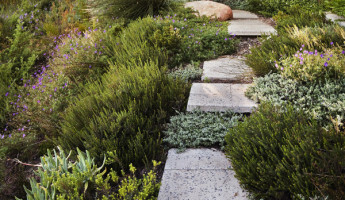 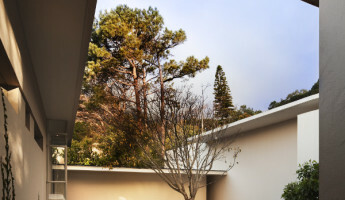 The heart of Bridle Road’s landscape is the Fynbos, a collection of fine shrubs that are native to a small track of land encapsulating much of Cape Town. 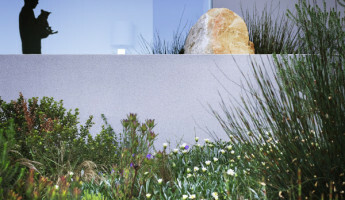 As Fynbos becomes increasingly threatened by fire and alien plants introduced by immigrants, the landscape architects for the Bridle Road project have created a safe commune for the plant around this home. 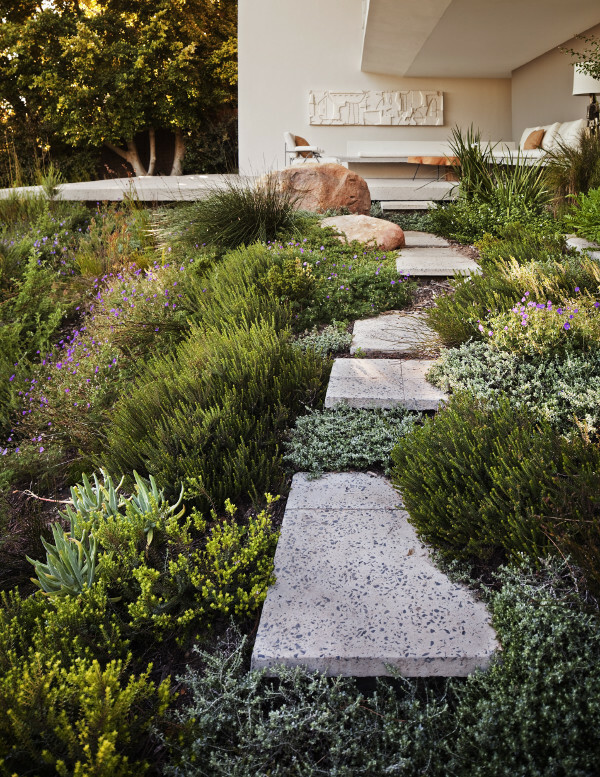 The result, as you can see below, is lush, beautiful and most importantly– local. 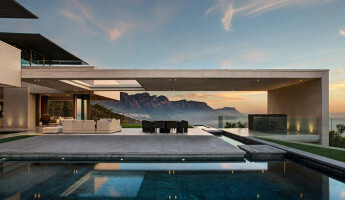 Beyond the landscape, the home itself an absolute dream. 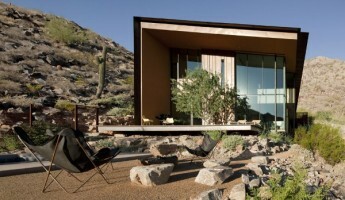 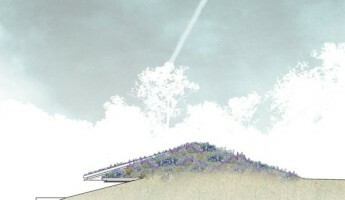 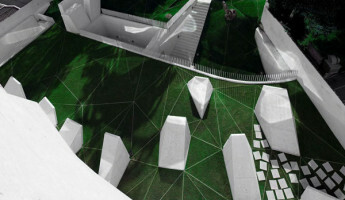 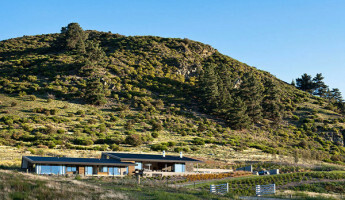 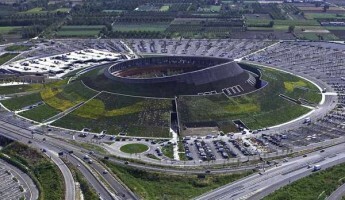 It is surrounded by naturally preserved land on three sides, providing privacy to its occupants. 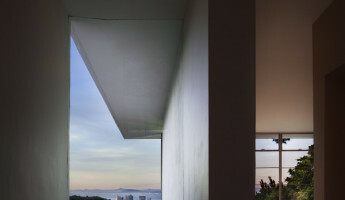 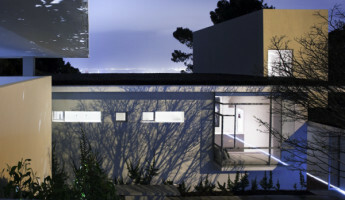 The public side is mostly hidden by design, while the bay-facing section of this home is open to the air and otherwise sealed by picturesque windows. 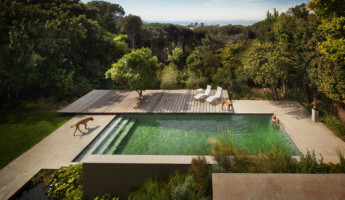 The rear deck and garden features a natural swimming pool, ecologically balanced and self-cleaning using plants, sand, gravel and a waterfall built into the side of the home. 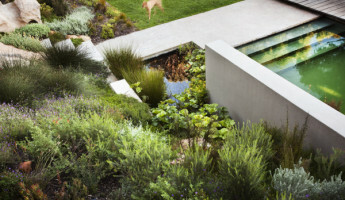 Water in the natural pool circulates upward into a reflection pool in a private courtyard above, then washes over the side of the house in a waterfall that flows over the window of an indoor bathing room and sauna. 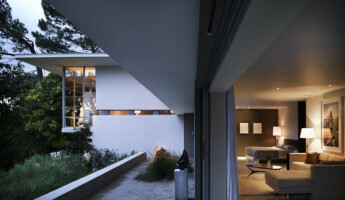 The flowing waters provide a natural curtain for the privacy of the guests in the bathing room within. 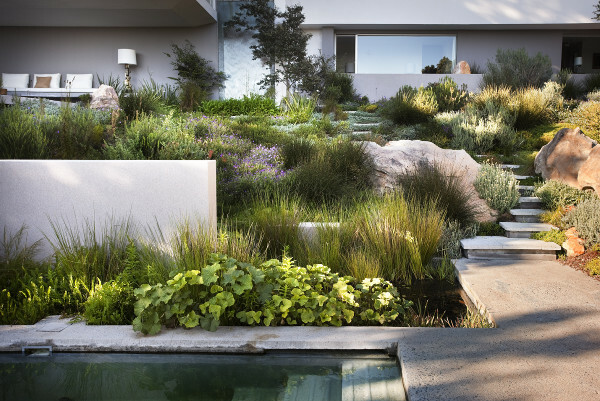 This amazing South African dream home was constructed this year and received an honor award from the ASLA. 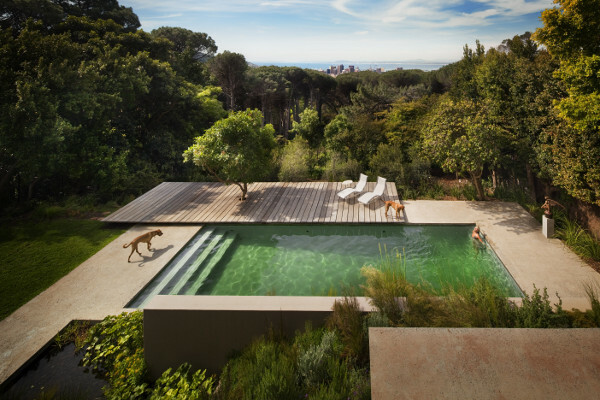 It was built with locally-poured concrete and balau wood native to this region, ensuring that the construction footprint left on the local environment was minimal. 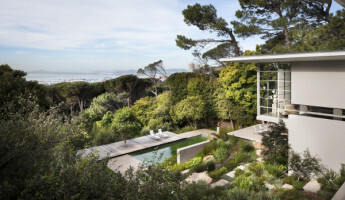 It’s occupants are not only gifted with one of the most stunning vistas in the world, but they can rest easy knowing that their sustainable modern home gives as much back to the local environment as it has taken away from it. 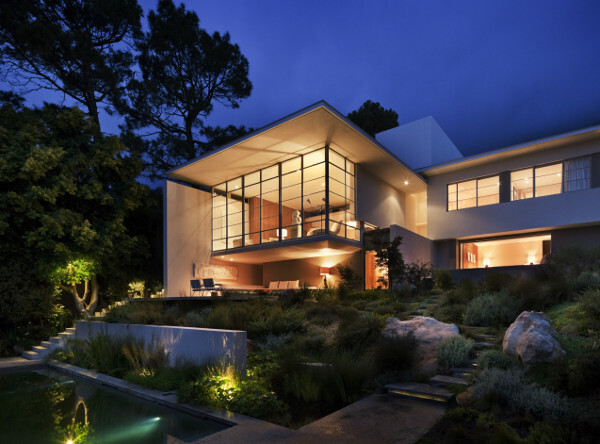 The team that crafted this residence and its landscape deserves a world of credit.